In lovely condition, this 2000 year model was built to survey by Dufour, one of Europes most profilic boatbuilders since 1964. The "Classic" is a timeless design that holds its resale value well. Lovely timber finsihes inside, in a well thought out 3 cabin interior. This boat recently had a new engine and saildrive which has only 500 odd hours logged. Triple lifelines to keep the youngsters aboard are an advantage of a boat built to survey standards. Functional galley has double stainless steel sinks, hot and cold water, 12v refrigeration, plenty of storage and good working counter space. The lpg stove has two burners and an oven for the sunday roast. Three double cabins provide plenty of sleeping accomodation for a large family or weekends away withfreinds. Interior is light and bright, and a pleasure to be aboard. The boat is overall in nice condition and is ready to go. 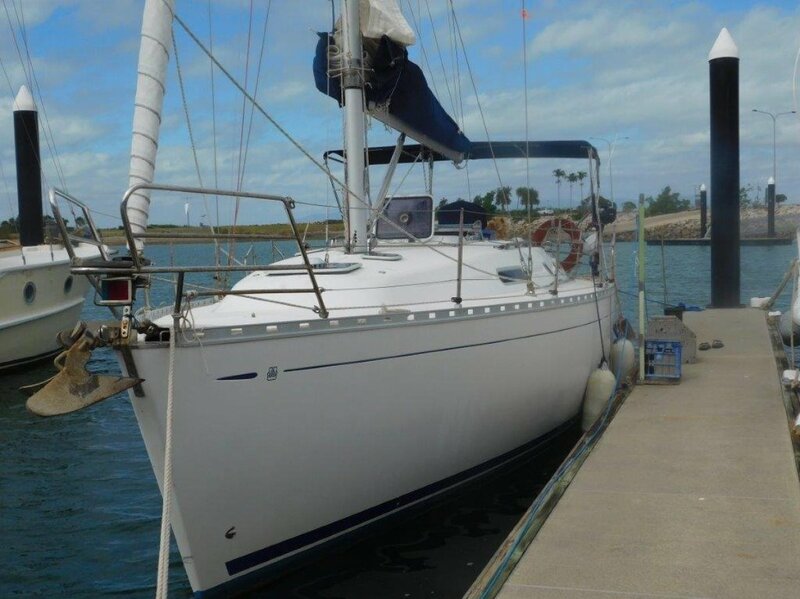 Shallow draft allows anchoring in close to the beach or is ideal for Moreton Bay. Near new D1-30 Volvo and new saildrive with less than 600 hours logged. Double forward with hanging lockers, 2 x cosy doubes aft. Comfortable saloon with galley, dining and nav station. 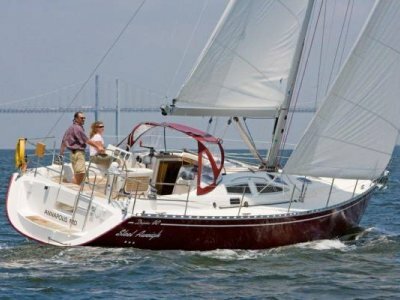 New 2014 fully battenned main with sail bag and lazy jacks. Headsail on furler in very good condition, spiakker with sock new in 2010 but present owner has never had it out of its bag. Aluminium double spreader mast and stainless rigging. Lewmaar ST44 sheet winches, ST30on cabin top all sail controls led back to cockpit through near new jammers. Headsail tracks, anchor winch underdeck, large chain locker. Triple lifelines. 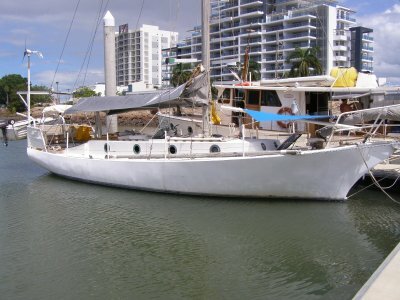 Late model yacht in nice condition well worth inspection.